To view the details of an employee's attachment orders as well as the schedule of deductions that have taken place, users can access the employee's Attachment Order Summary Report at any time. Click 'Attachment Orders Summary', followed by the employee's name. 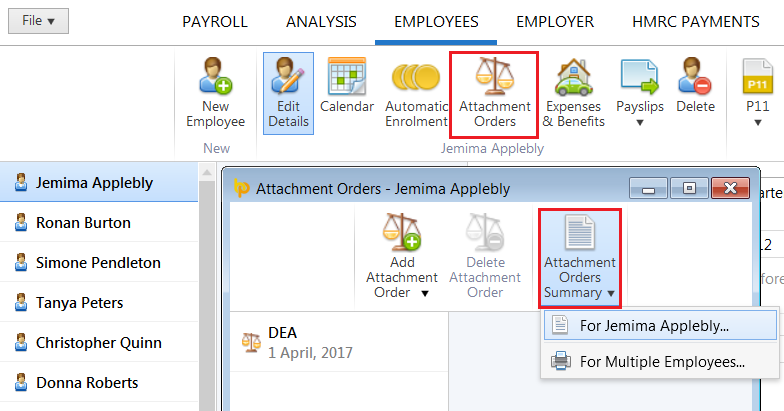 Alternatively, select 'For Multiple Employees...' in order to view more than one employee's attachment order report. c) Press Print/Export PDF to print or export the report for emailing.